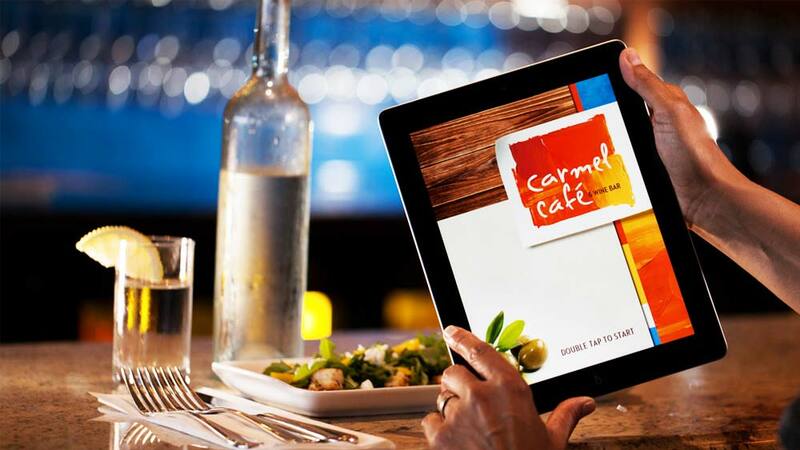 ﻿ How technology has transformed the Hospitality Industry? How technology has transformed the Hospitality Industry? For centuries, technology has redefined industries and changed competitive landscapes and also the way in which we communicate, obtain information and entertain ourselves, conduct research or even order pizza. The hospitality industry has undergone some fundamental changes over the past two decades not only in terms of design and technology but also mainly in the way it manages the distribution platform, engage with customers and harness the enormous power of the Internet to provide a flawless customer experience. Add social and digital media and the change has been nothing but phenomenal. The evolution of various customer relationship programmes has made it possible to determine the exact needs and wants of customers — something the industry has learned from the American Internet retailer Amazon or, more locally, Flipkart. Providing a high level of personalised service has always been the hallmark of the hotel industry. However, with the increasing amount of information available and stored by various Internet companies, aren’t we afraid that some potentially very sensitive private information might end up in the wrong hands? Technology has to be seen as the great facilitator and not feared; it enables us to customise the guest experience. Technology allows us to expound and identify consumer behaviour and respond to market changes much faster than at any given time before. The proliferation of technology will have profound impact on how we identify the needs of our customers and provide a high level or personalised service - notwithstanding increasing revenues. There is no way to deny the fact that technology has become the big game changer. India has very strict privacy laws determining exactly what we can and cannot do and where lies the boundary when it comes to accessing information for commercial purposes or providing a high level of personalised service. I admit it is a blurred line if there ever is one. So the question is: to what extent has technology helped our job of identifying the needs and wants of our customers? Has technology really made our life as hoteliers easier or did we become slaves of technology? Before we rush and invest huge amounts of money in untested technology, all in expectation of growing market share and meeting the needs of the new customers that will inevitably follow the tech handicapped baby boomers, take a step back and think critically before making an investment that might become obsolete before it is even depreciated. Let’s make a quantum leap forward by 200 years to the 21st century. Digital marketing and social media in the hospitality industry received its fair share of distracters too. The argument was, and still is, technology depersonalises the customer relationship and experience - it removes the human touch, the personal contact of interacting with our customers. Purists claim, and they have a point I admit, that hospitality is about interacting with people, having face-to-face contact, showing empathy and engaging customers in a meaningful face-to-face conversation and not counting how many friends and likes we have on Facebook. Whenever there is a touch point with a customer, a moment of truth - an unforgettable experience is created. For centuries, technology has redefined industries and changed competitive landscapes and also the way in which we communicate, obtain information and entertain ourselves, conduct research or even order pizza. Making a room or dinner reservation via smartphone is not a technological novelty anymore, but is considered the norm; technology has compressed timeframes. IT equipment at hotels has taken a quantum leap over the last few years. Technology is the underlying driver for almost everything we do today in our hotels. Over the next few years, we will see a lot of advancement and new features available via software rather than hardware. Another trend shift that is happening rather sooner than later is cutting the proverbial cord and moving wireless wherever feasible. We already saw this shift in terms of Internet connectivity. Cyber security and encryption aside, today, 90 per cent of our guests connect to the Internet using wifi rather than a network cables that will become redundant before this decade is over. We will see a similar shift in another two aspects — media streaming in guest rooms and charging of mobile devices. Content is king. The customer of today decides what content he wants to watch where and when and on which device. Redefining the way business travellers arrive at hotels and check in to their rooms in India, Starwood Hotels & Resorts has introduced “keyless” entry, allowing guests to bypass the front desk, go directly to their rooms and unlock them with their smartphones. This might take some time to become mainstream but definitely is the way to go as more and more things will become Smartphone centric. Starwood introduced this technology in 10 properties last year across three of its brands: Aloft, W and Element — beginning with the USA and followed by Mexico, Singapore, Hong Kong and Qatar. India is the sixth global location for the rollout of keyless entry and it made its debut at Aloft Bengaluru Cessna Business Park in March this year. What is one businessman’s curse is another one’s opportunity. The winners in the age of great technology are those who embrace the winds of change. Like Bob Dylan said a long time ago: the times, they are changing. About Us: “FISH TODISH” brand is our own brand, brought into.. Eating out to get cheaper under GST..
Education Business Opportunities in Noida..
A month into Maggi fiasco, instant noodles sales h.. The Next Big Thing In Beauty Industry..
International Brands Getting a Taste of India.. Transforming Education Through Skill Training..